Magnum Knives - Outdoor Fixed Blade 8" overall. Model: BOM02820. 3 1/2" 440 stainless blade. 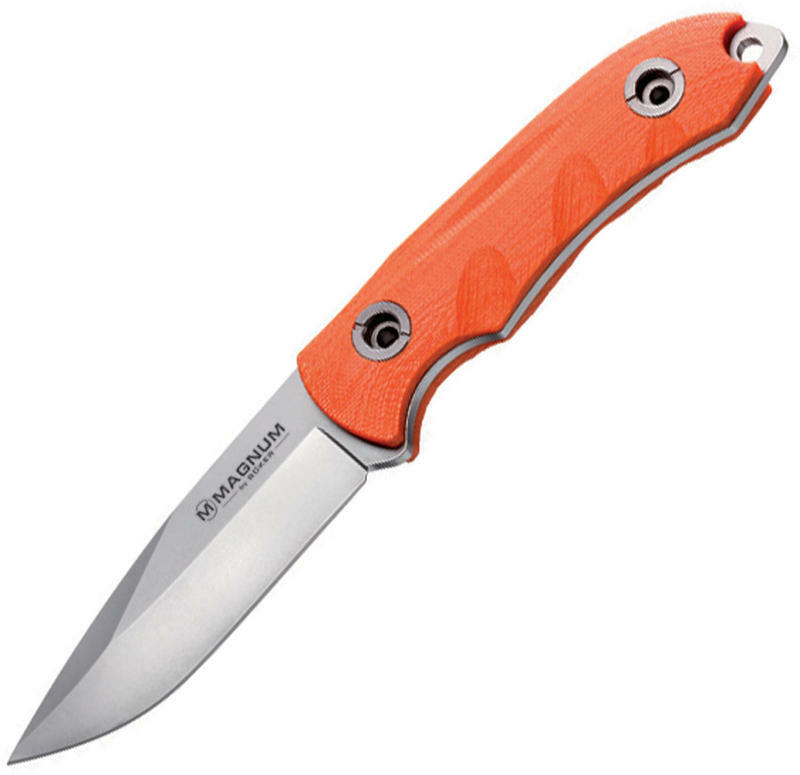 Full tang with bolted orange G-10 handle scales. Lanyard hole. Kydex sheath and MLT carrying system. 3 1/2 inch 440 stainless blade. Full tang with bolted orange G-10 handle scales. Kydex sheath and MLT carrying system.